When in the French Quarter you simply have to start the day with a visit to Cafe Du Monde Coffee Stand located in the heart of the French Quarter. It was the original French Market coffee stand established in 1862 across from Jackson Square and is still owned by the Fernandez family who purchased it in 1942. Their simple menu consists of dark roasted coffee and chicory, beignets, white milk, chocolate milk, fresh squeezed orange Juice, iced coffee, and soft drinks. The coffee is traditonally served Au Lait which means it is mixed half and half with hot milk. Chicory is the root of the endive plant, a lettuce, which is roasted and ground before being added to the coffee. It gives the coffee an almost chocolate flavor. You can get black coffee or decaf if you prefer. 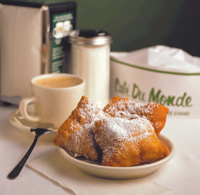 Beignets are puffy square French-style doughnuts deep fried and then covered with powdered sugar. They come three to a serving. Our very first morning in the Quarter I rose early to enjoy a fresh brewed cup of store bought coffee in the courtyard where we were staying. Doug was still sleeping so Kirby I walked to Cafe Du Monde which was about four blocks away. Once we arrived I had two options - sit at a table in the cafe which is rather noisy or get a to-go purchase which is what I chose to do. We did have to wait in line for slightly more than twenty minutes but I very much appreciated that the beignets aren't cooked until an order is placed. Everyone in line was quite friendly and chatty so the time felt like it passed quickly. All that rally practice paid off because Kirby behaved as a southern gentleman should. Finally we reached the window where it was my turn to place my order! For $7.95 I purchased a small cafe au lait, a small orange juice, and an order of fresh beignets. We then headed across the street to Jackson Square, a lovely park filled with magnificient trees, statues, flowers, and birds. To my dismay I discovered dogs were not allowed inside the park which of course contained the only green grass for maybe miles (that's another story) so we settled on a shaded bench right outside. I leisurely enjoyed my surroundings as I sipped on my cafe au lait enveloped by the aroma and flavor, and the piping hot beignets were literally dripping in powdered sugar. I had been warned to wear white! I don't have words to describe how melt in your mouth delicious they were. I offered Kirby a piece of a beignet but the silly boy turned his nose up. He did however enjoy every drop of his freshly squeezed orange juice! It was a zen kind of morning as we listened to the birds chattering in the trees and watching people walk by, some stopping a moment to say hello. Kirby amused himself with the large pigeons (I swear some were half his size) walking about on the ground. At first several would come close enough for him to want to attempt to catch them. He quickly learned these were seasoned birds he couldn't possibly catch so he settled for watching them scurry about looking for food. The beignet is the state doughnut of Louisiana. A New Orleans tradition since 1862. Recipe for making cafe au lait on their website. However, some details are missing. Recipe for make beignets on their website. Again, instructions are sparse. You can purchase everything you need or want in the French Market which runs for several blocks. If only I lived just around the corner! Mmm, maybe I could open a franchise in Mississippi? I talked about the Cotton District Arts Festival earlier in the week letting you know what it's all about. You can read that post here. I do want to mention how important it is to ASK before petting a dog who is out in public. Most dogs are friendly but can become startled by an unsuspected touch. Then there are the service dogs who are in work mode. We always have quite a few people ask if they can pet Kirby which we are more than happy to allow. Kirby is very well behaved especially with small children. He seems to know he must be gentle and very still. He has had people come up to pet him from behind which has caused him to bolt not knowing what just "grabbed" him. Some dogs could bite out of fear! Also, I never allow any children to pick him up since he is heavier than expected and could be dropped causing injury. The day was cloudy but clear and rather chilly! Even the guys were wearing long sleeve shirts or pullovers. Kirby started the day wearing a shirt but as it warmed up, judging by hi tongue hanging out, I had to remove it. This is a compilation of some of the many photos I took showcasing just how friendly and welcoming this event is for humans who want to bring along their fave furiend. The first picture touched me when this lovely lady asked to pet Kirby, then bent down to hold his face in her hands. I watched as tears flowed down her cheeks while she and Kirby shared an intimate connection. Afterwards she told me Kirby looked so much like her 11 year old Australian Terrier she lost this past December. I like to think Kirby understood her pain and was encouraging her to open her heart to another dog waiting for a home. For lunch Doug and I grabbed a couple of delicious Greek lamb gyros from Zorba's Greek Tavern which Kirby was more than happy to finish for us while Tara and Jordan went for the best pizza in twon which can be found at Dave's Dark Horse. Soft drinks, water, lemonade and beer were available at several locations throughout the festival. We also enjoyed hanging out listening to some of the local singers and bands play while Kirby relaxed on the soft grass. There were rows of booths up and down several streets filled with some great artistic choices. Since we were going on vacation I didn't want to spend too much but I did succumb to a well made iron rebar shepherd's hook to hang a few hummingbird feeders in my backyard. Tara purchased some jewelry and Doug found another hand carved wooden spoon to add to his growing collection. We never miss this fun dog friendly event that just gets better and better each year! This coming Saturday, April 21, 2012 marks the 17th Annual Cotton District Arts Festival in Starkville Ms. This yearly event draws over 42,000 people looking for music, art, and food. The best part? Dogs are not only allowed, they are invited! The Cotton District is a residential neighborhood interspersed with small restaurants and small houses set close together. The majority of residents are college students who rent the houses fashioned after the French Quarter with refurbished older homes and brand new homes made to look old. The event kicks off at 8 am with a 5K race at the Old Cotton Mill and the Pet Parade sponsored by Spruill Properties. We never get there this early for several reasons – we are lazy on Saturday mornings and since we run into so many people we know throughout the event Kirby would be exhausted by the afternoon. We do get to ooh and awe over lots of cute costumes the dogs continue to wear throughout the day. First is the live music by a variety of local and regional performers performed on three stages set throughout the area. It starts at 9:30 am and will include Tupelo, Mississippi native Jordyn Mallory who performed on American Idol last year and Charlie Worsham from Grenada, Mississippi who has opened for Miranda Lambert and Taylor Swift. Next is the original artwork from painters, potters, and sculptors throughout the region. Meandering along booths set up side by side up and down several streets is my kind of shopping. One of my faves are the metal sculptures depicting animals, of course I can never resist picking up another unique piece of pottery, and the jewelry is always so beautiful and whimsy. The last but not least crucial ingredient is the “Taste of Starkville” a cultural smorgasbord of flavorful cuisine from more than twenty vendors. The choices can be endless from fine dining such as The Veranda and Restaurant Tyler to casual dining such as Peppers and The Grill to the more traditional fair foods. My favorite is always the lamb Gyro from Zorba's Greek Tavern. Kirby actually enjoyed some fried alligator one year. Kirby just loved visiting with all the children who were well behaved and gentle. The event is free, so if you live near Starkville then grab your comfy shoes and join us! They say a tired dogger is a happy dogger - he slept all the way home! **These are pictures from last year's event. The Cotton District is located in the older section of downtown Starkville, Mississippi. It has been renovated over the years with new buildings made to look old. It has a New Orlean's French Quarter flair which I love. There are several pubs, restaurants, and small shops mixed in with many houses which have been converted to apartments. The majority of the residents are college students. It's a great area filled with dog lovers! In fact, the only dog park in Starkville is located just a few blocks from here. It's a very busy area on Friday and Saturday nights but much quieter during the afternoon hours. Today we chose to go to Bin 612 which specializes in delicious authentic Italian cuisine. It has both an inner secluded courtyard and a large patio facing the street. These are small pubs situated across the street. The pubs are on the bottom floors with apartments on the upper floors. Next door are more apartments with a sushi bar on the ground floor. There is also a delightful coffee shop. We heart the Cotton District! 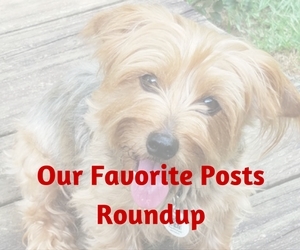 If you read my blog then you know Kirby is my only dog. I have socialized him as much as possible with a variety of people and interactions with other dogs. He has taken puppy classes, rally classes and agility classes. He visits the local dog park at least twice a month. When we are fostering he has a playmate 24/7 for roughly two month stretches. He went to doggie day camp once about a year ago. Today he is going to Doggie Day Camp again! I have a day of shopping and visiting friends in Jackson which is an hour and half drive away. Since we are leaving early this morning and won't return until late tonight I decided doggie day camp would be the best alternative and a lot of fun for him. 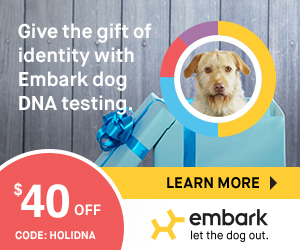 - Each dog must pass our Pawsitively SafeSM Pet Evaluation and Assessment before participating in camp to ensure all dogs have a safe and enjoyable experience. - Our indoor facility provides a safe, clean, climate-controlled environment for dogs to play in. 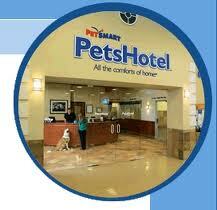 For the safety and comfort of our pet guests, all activities take place inside the PetsHotel. A combination of one Treat Time, one Snack Kong® and two Group Play Time session. These extras offer your best fun, exercise and special treats to keep him happy and busy during his stay. And it’s a great value! Sure to be your dog’s favorite time of the day, Treat Time features dog-safe soft serve ice cream with a side of crunchy dog biscuits. It’s not only fun and delicious, the biscuits help to reduce tartar on your dog’s teeth. Your dog will love this extra-special treat of a Kong® toy stuffed with tasty filling. He’ll get a great chewing workout with this deluxe snack. Just call during lobby hours and we’ll bring your pet to the phone if you want to chat. After all, we understand your special bond and know you may want to keep in touch. Plus, this add-on is free of charge! We chose the Snack N Play Package. For $24.00 Kirby gets two group play sessions, a treat time with ice cream, and a Snack Kong to play/eat when he is in his atrium room resting on a hypoallergenic lambskin blanket. The staff will take him for a walk to one of the Relief Rooms that resemble an outdoor park where he can be let off leash to do his business and feed him his dinner with the food I provide. I haven't decided if I'll call him but I might, you know, just to test out the Bone Booth! More pluses are since the hotel is inside the PetSmart Store they have a veterinarian on call, cameras set up for optimum observation, and for Kirby to escape he would have to go through three doors before getting outside. There are other packages and add-ons to choose from including private training sessions, private suites with televisions, nail trims, and exit baths. So I get to have some fun shopping and visiting friends knowing Kirby is having fun playing with new friends living the good life while waiting for me to return.